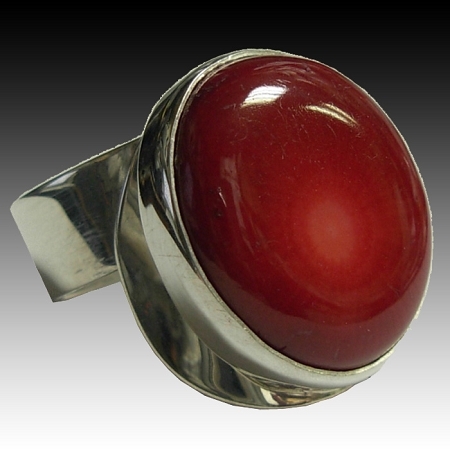 Modernist Jewelry - This is an original sculptural sterling silver ring beautifully handcrafted featuring a freeform Red Coral cabochon. Shanks are adjustable for easy sizing, but can come soldered if preferred. A sterling silver sculptural ring with a wide shank complementing a Coral. Shanks are adjustable for easy sizing, but can come soldered if preferred.